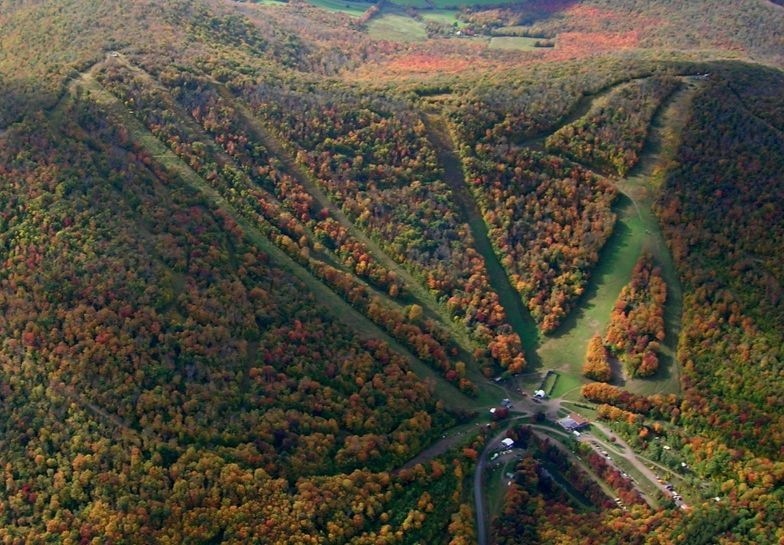 Plattekill Mountain and NYSkiBlog are stoked to present the eighth annual Plattekill Tree Skiing Work Day at the ski area in Roxbury NY on Sunday November 4th, 2018. This is our raindate. 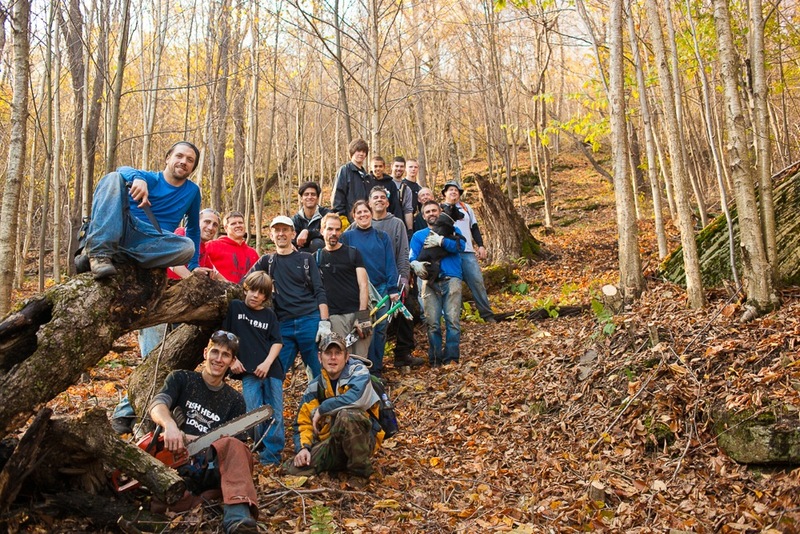 As is our tradition, we’re recruiting a motivated, smiling crew of lopper wielding powder hounds to continue our maintenance some of the Catskills best tree skiing. Our longterm goal is to clear as much terrain as possible under the legendary double chair. As regulars know, Plattekill is committed to helping skiers pursue their passion and find great lines all over the mountain. 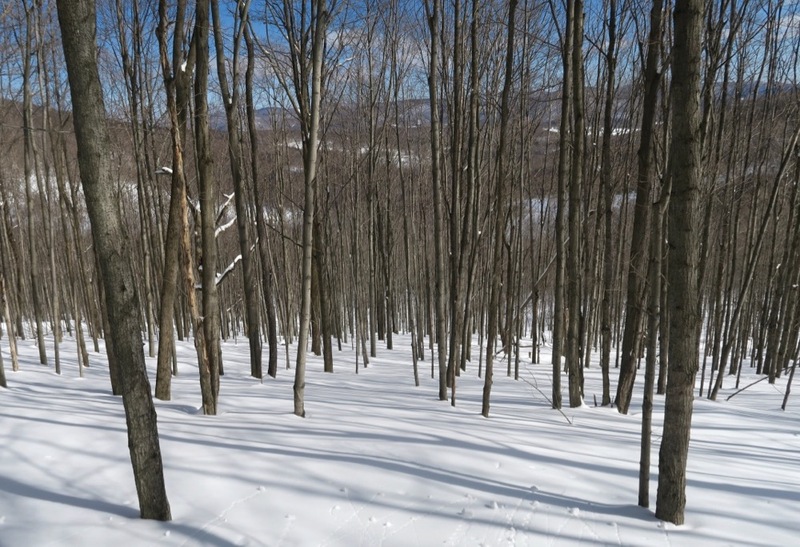 While the ski business inexorably consolidates, Plattekill offers a different kind of experience: a family-owned ski area with steep terrain, good snowfall and a great vibe. You can access it all without lift lines. And because Plattekill is only open weekends and holidays, tree lines remain fresh for weekend warriors, who know where to look. The best way to learn the mountain’s secrets is to come to this event to spend a day with those who know and maintain those lines. Laszlo and Danielle Vajtay, the owners, appreciate this volunteer effort. Each participant will get a midday meal on the new deck and a voucher for a lift ticket valid on any regular operating day during the 2018-2019 season. Plus you’ll get an added bonus of inestimable value: street cred with New York’s tree skiers. To be clear, the workday will be work. We’ll hike approximately 3 miles during the course of the day. Trees will be cut and dragged. 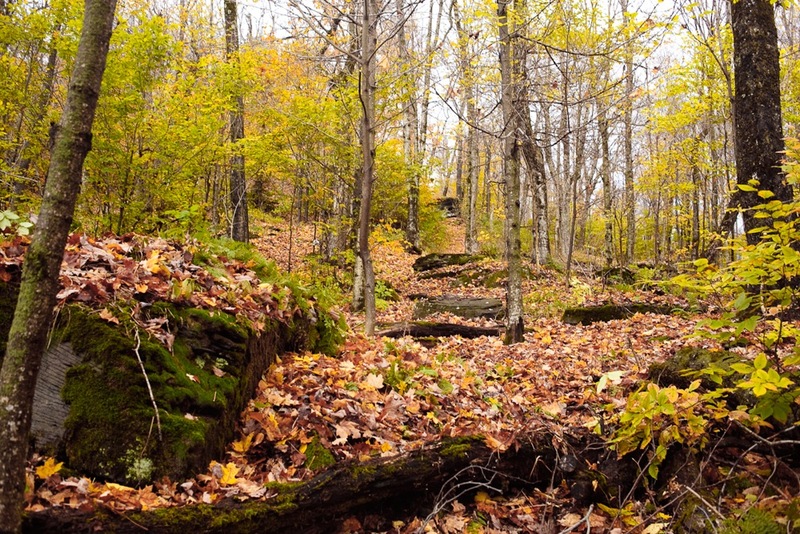 Participants should ready to hike with a backpack containing 2 liters of water, a few snacks like PB+Js and Clif Bars, and a pair of work gloves. A camera is also a good thing to have, so you can start figuring out key angles to shoot your friends on pow days. We need at least 12 volunteers to make it work. The more the better. 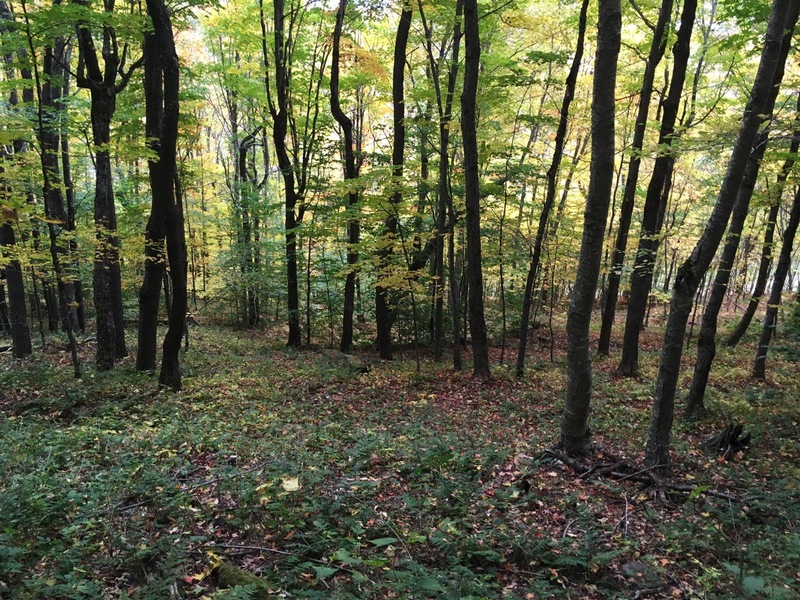 We’ll meet at the Plattekill base lodge at 9:00 am on Sunday November 4th. This is our raindate! 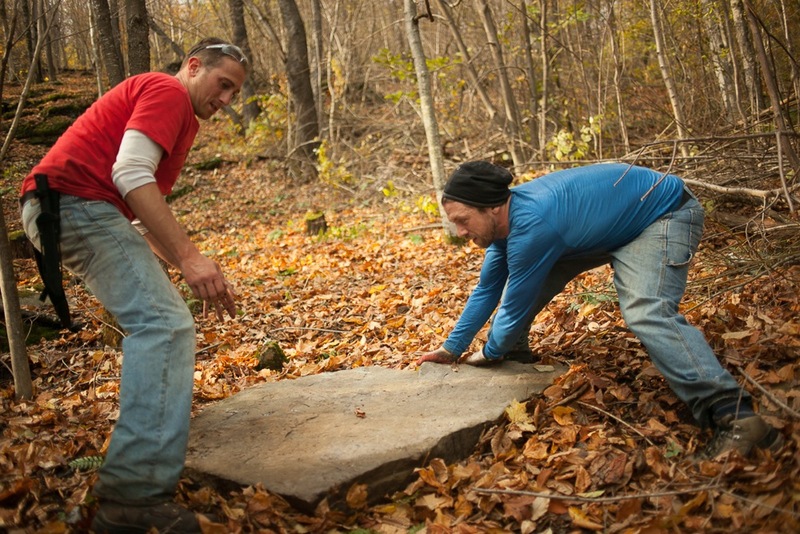 If you want to spend some time getting to know Plattekill and bonding with some diehards, please post in the comments below so we can contact you with details. And follow us on Facebook for any last minute updates. Think snow! ml242, can you divulge approximately where on the mountain (in the helicopter photo above) that you’re planning to work, or will the location only be provided to participants? I’d love to go, but will be out of town that day. We’re going to be working near the double on lines that should be pretty visible that will hopefully be able to go on the map next year. And secret locations too, probably! Wish I could make it! I’ve been wanting to get involved with projects like this. Going to be in Rhode Island that weekend for my friend’s belated graduation party though. 9am! Plattekill is in! See you tomorrow. Lifts will be spinning to get you all up there. And the grill will be grillin’ and the sun will be shining! RSVP’s are rolling in, this is going to be so much fun! What time is this shindig getting underway? in terms of the TIME of the workday people can start to gather any time between 8-9am and they will run the lift for a while starting at 9. come on out, its a fun time and if you ski trees, it benefits you directly. Sounds awesome. More reasons to love Platty. I’m in for sure will have at least one buddy with me, maybe more. Is there going to be another date? I am going to be in New Hampshire this Work Weekend. Saturday November 2 is this only date we’ve planned (rain date Sunday). Thanks, for the quick reply. Keep me in mind in the future and say hello to Laszlo for me. Winter is coming and I get more stoked every day. Will be there. See you all there! 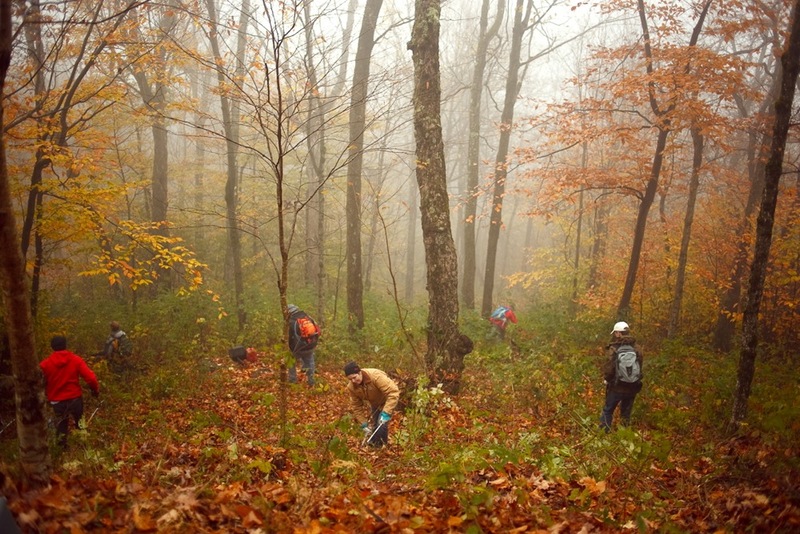 IT IS ON FOR TOMORROW – COME OUT AND DO SOME GLADE CLEARING! Please know: The mountain cannot provide any tools. You can operate your own saws and chain saws as long as you have safety gear such as hard hat, glasses and chaps and leather boots, steel toe preferred as required. It would be super if a few people comfortable with their use could bring a chain saw. I will be attending the cleanup on Nov 8. I’ll be up Saturday to help with at least 1. I plan to be there nov 8. I would love to come help but cannot make it on the 24th of Oct. Are any other dates open? Hey Harvey, although it appears that I was growling in the picture (maybe I was), I will be there with a smile. Thanks very much. Since I ski in the woods all over, it’s about time I make it to an official glade clearing work day. I’ll be there. We all discovered amazing tree skiing last season hiding in plain sight, between Freefall and Block. The bottom gets weedy and would be good to clear an obvious exit that doesn’t go into the Learning Center. I would be for working on that. Jeff, that was the first area we did 3 or 4 years ago, it’s probably due for a little maintenance, but we have some big fish to fry this year! I had so much fun in the woods last year, I need to pay my dues. I’ll be there. I’m in. Can’t wait to cut, trim, and clear. Can I bring a motivated 14 year old with me? The stoke here is awesome! 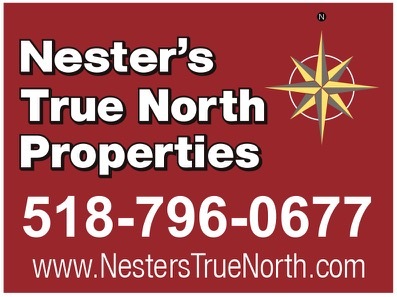 Continue to spread the word, Facebook, Twitter and good old fashioned word of mouth. What time? My wife Carol & I can make it. I am hoping for rain so I can make it on the raindate, Sunday! Lucian’s Line, where is it?? Good chance I’ll be there. Hey. I would love to join the tree ski team. Plattekill Rocks!! Maybe If I help it will snow alot!! I’ll be there no doubt. Too many chain saws scared the winter away. 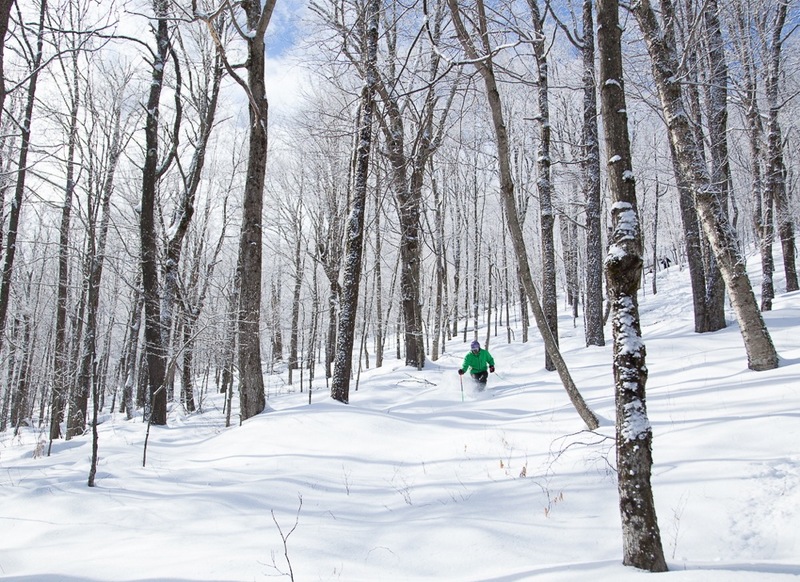 ski the trees, not the glades. Trying to work it out to be there. I’ve wanted to show up for this the last couple years but soccer has always gotten in the way. Games are on Sundays this year so I think I’ve got a shot (I’ll have a 14 and 10 year old in tow though). I’m in. I’m sharpening the blades as I type. If everything goes according to plan, I’ll be there! Always wanted to do this. Finally have a free schedule. I’m in. Let’s get some lines marked out, so we can be more effective in our efforts. Some survey tape by a group of experienced folks would help. I saw that the woods between Freefall and Blockbuster may be the work site this year. I’m not opposed to that location and would enjoy working on it and later skiing it, but my vote would be something in the mellower Ridge Run/Twist area if there is still any work to be done there. 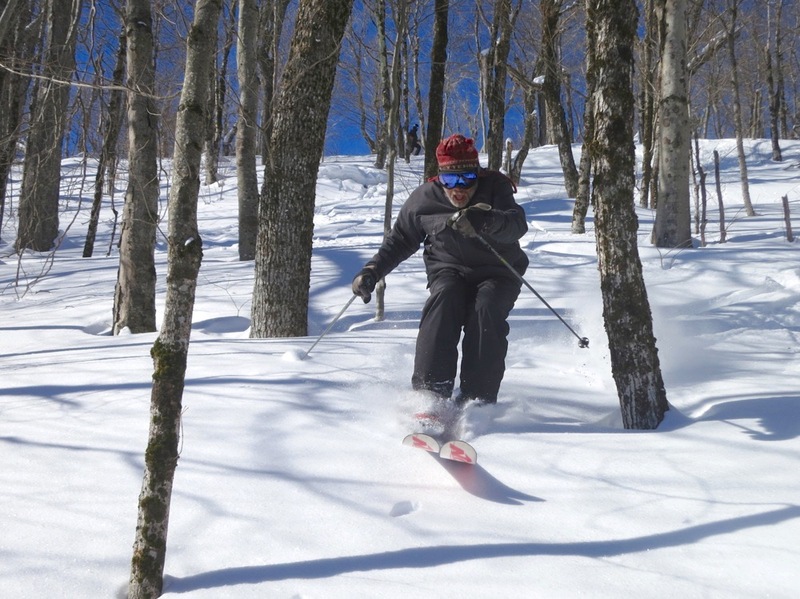 We did steep terrain last year, and it’ll be in play less often than Plattekill’s other lower-angle tree skiing. Would be nice this year to work on an area that has a greater likelihood of being skiable. How about some lanes somewhere off the triple (north side of the mountain)? It would make that side of the mountain more interesting. I take it this has been rescheduled due to weather? Is there an email list for updates? Thanks. Yes rescheduled due to weather. Going to be very wet and cold. We will add you to the email list CK. I’ll be there with one other. I’ll be there. Possibly my son as well. My friend and I will be back this year. Last year was a blast. Tools are sharp and I’ll see you then. I would love to be a part of this! See you there. I’m going to try to make it ….I certainly get good use of the trees all winter long! p.s. I think I’m the one skiing in the middle picture in this article! After last winter’s March “mega-dump” when I had a chance to sample the goods, I vowed that I would help out this year! Count me in and one other (my wife – never saw that happening!) as well. We’ll make a weekend out of it and do some hiking on Sunday. First timer for tree clearing. Count me in for the morning. I’ll need to leave by 1PM. I might be able to with my son and possibly 1 more. I’m in – probably – with junior in tow. I will be there for the eighth time. Can’t wait. Yeah! Thanks for the great article, Harvey! Can’t wait! I will be there with my Dad who helped out in the lodge last year. Yup, i will be there! Stoked to see the awesome turnout as usual! This is awesome, looking like a good turnout for next Saturday. Looking forward! I’m in, see you then. Gotta get oral surgery Friday,doubtful I’ll make it this year. Oh yes, I’ll be there! I’m in — looking forward to it. And I think first-timer Barbara Long (my mom) is coming along too! Kids welcome to join in? Hi Matt, as long as they’re supervised and can handle scrambling the rough terrain. Some of it can be pretty steep. And if they can work a pair of loppers, all the better! FOR 2018: SUNDAY RAINDATE IS IN EFFECT. 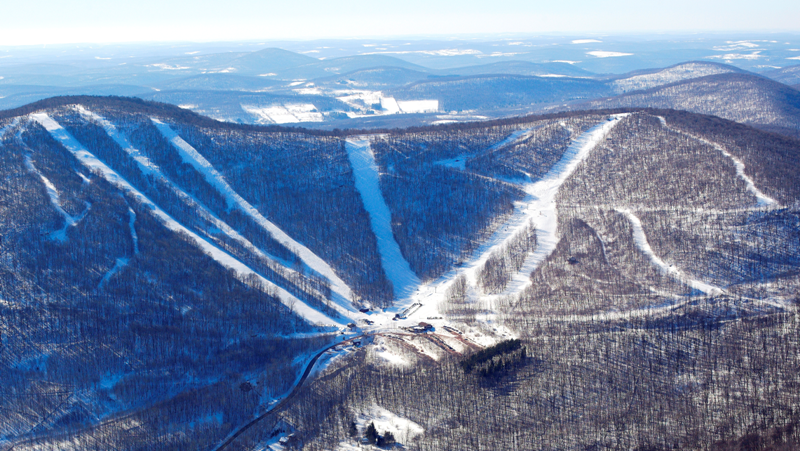 Been wanting to do this for years, I’ll be up looking forward to working on the best glades in The Catskills. Well that was a success! All you slackers owe any of the approximately 30 people who showed up a beer if you ski glades at Platty this year. We got a ton done. And Brian’s Mom gets extra hugs and foot rubs from her grandchildren for showing up and working–she knows her grand kids ski the woods and wanted to pitch in. Clarification, nobody owes me a beer, I got 2 from Laszlo. 29 others though.